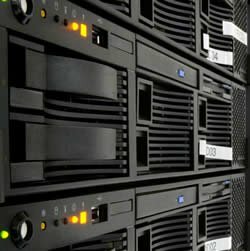 IPTIA Consulting's Hosting Services allow you to delegate the routine management and administration of your hosting or application server to our trained, professionals engineers. Managed Services provide you with a comprehensive, customized server solution that allows you to focus on core business objectives rather than the day-to-day administration of your server. Whether you require basic web hosting, an advanced web programming environment, or even a complete online Operating System, IPTIA has the tools and resources to provide you with everything you need. Both physical and virtual platforms are available, depending on your requirements. Call us today for a free consultation and quote for your new services or upgrade. Please email our webmaster or use our contact form for more information!